Fennel is one of my favorite snacks and side dishes and it’s working its way into mainstream cooking more and more these days. It’s like a lot of Italian dishes from my youth that once were ethnic-only foods and now are being more widely recognized (can you say lentil soup or squid, two other similar examples). 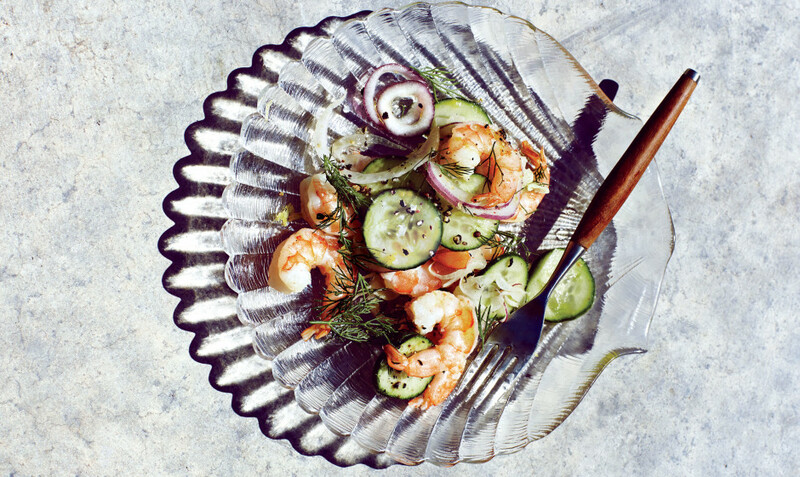 Bon Appetit magazine recently featured this recipe for a shrimp salad with fennel and cucumber. It would make a great summer starter for a cookout with friends and family. Rather than cooking the shrimp as recommended in the recipe, you could grill them. Here’s a garlic and herb grilled shrimp recipe from Food.com. I would likely leave out the sugar on that one, as I would leave out the salt on the salad recipe. Once the shrimp is cooked, you simply build your salad with the other ingredients. It’s simple and tasty as well, the lemon is always a welcome flavor touch. Enjoy! Americans are eating less, finally, but what about the salt?